A potential customer visits your website but doesn’t make a purchase. That’s to be expected; buying a car is a big deal, and most people need time to consider it before finally making the purchase. But you want them to keep your dealership in mind—specifically that car they looked at on your site—so that when the time does come, they buy from you. How do you make that happen? With so many competitors just a couple clicks away, how do you ensure you’re top of mind when it’s time to make a purchase? That’s where remarketing comes in. Here’s how remarketing works for auto dealers and how it can help you increase auto sales. Remarketing is an advertising tactic that keeps your inventory at the top of a potential customer’s mind after they’ve visited your site. Once they’ve clicked on your site and spent some time viewing their dream car, your ads will follow them around the internet, reinforcing your brand and reminding them that the car they want is not so far away. It’s important to keep in mind that dynamic remarketing isn’t about increasing the number of visitors to your site. Instead, its ROI is about helping you convert those who do. That’s why it’s an effective piece of a larger marketing strategy. Use inbound marketing to bring more people to your site, then follow around the interested visitors with reminders of the vehicles they were looking at. Remarketing allows auto dealers to turn visitors into leads and customers. Just because someone has left your site doesn’t mean you’ve lost them. You can continue to sway buyers by keeping your dealership in mind as they travel through their buyer’s journey and ultimately make a decision to purchase. It won’t happen overnight, though. You will need to build up the number of visitors coming to your site and increase the amount of time they stay and flip through your pages to ensure you’re able to collect enough data to engage remarketing. It will take several months, but once your pool of visitors is built up, remarketing can engage and start to turn them into leads. By effectively integrating remarketing into your larger marketing strategy, you can see an increased ROI when visitors start converting into leads, and eventually, satisfied customers. 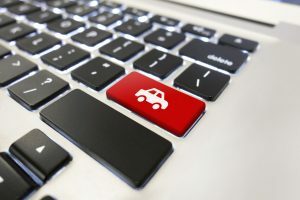 Auto dealers have a powerful tool in remarketing to help them convert website visitors into buyers, edging out their competition. One of the best ways to help someone make a purchase with you is to remind them you’re there and ready to help.